Emily Bass is a Research Associate in the Department of Health Policy and Management where she works on health workforce issues, both domestic and international. Her current projects include work through the GW Health Workforce Research Centers, which focuses on the flexible use of workers to improve health care delivery and efficiency and is supported through a cooperative agreement with HRSA. She also coordinates the work of the GW Health Workforce Institute. Prior to joining GW, Ms. Bass worked at AcademyHealth where she supported multiple research and policy projects, international programs, conferences, and managed the NCHS/AcademyHealth Health Policy Fellowship. She is also an original incorporator of the Alliance for Ethical International Recruitment Practices. Ms. Bass is currently pursuing a graduate degree in project management. With over 25 years of experience in graduate and postgraduate medical education at the George Washington University, Leigh Anne Butler currently works on domestic programs in the Department of Health Policy and Management primarily in the area of health workforce equity. Her current projects include coordinating all three arms of the Atlantic Philanthropies award, the Beyond Flexner 2016 Conference along with the Josiah Macy Jr. Foundation Awards program for the conference, and a Robert Wood Johnson Foundation grant on social mission metrics. ​Katherine Green is a Research Assistant in the Department of Health Policy and Management where she works as teh course coordinator for the Residency Fellowship in Health Policy. She holds a Master's Degree in International Relations and Service Development. The focus of her research is gender equity and empowerment. She is passionate about working on unresolved social issues that deal with health disparities, gender rights, LGBTQ advocacy, the importance of the arts, and advancing justice. She has a background in social sciences and fine arts. Prior to joining GW, Ms. Green worked in global and national health advocacy, development, and policy. Eric Luo joined the GW Health Workforce Research Center in 2017 and recently received a PhD in Public Policy and Public Administration (Health Policy) from the Trachtenberg School of Public Policy and Public Administration. His current work focuses on examining the relationship between workforce configuration and quality of care in community health centers (CHC), productivity of nurse practitioners and physician assistants in CHCs, the geographic variation and relationship between opioid use disorders and availability of medication-assisted treatment (MAT) providers and the attrition of MAT providers over time, the imprint of high-cost and low-cost practice patterns on National Health Service Corps participants and alumni, and assessing the incident-to-billing for nurse practitioners using Medicare Public Use Files. Mr. Luo holds a Master of Public Service and Administration from Texas A&M University and a Bachelor of Economics and a Bachelor of Mechanical Engineering from Southwest Jiaotong University, China. 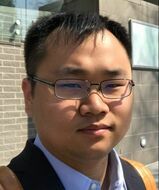 Daniel Chen is a DrPH student in the Health Policy and Management department at the George Washington University Milken Institute School of Public Health. Prior to attending GW, he worked as a community organizer and community health worker in Philadelphia. Daniel's health workforce interests include: the team-based primary care design; multidisciplinary collaboration and the flexible use of workers; physical, mental, and social services integration; health workforce enhancement as an approach to address health disparities; and the role technology plays to facilitate collaboration and integration. Xinxin Han joined the GW Health Workforce Research Center as a graduate research assistant in September 2015. She is also a current PhD student in Public Policy and Administration (Health Policy) at the Trachtenberg School of Public Policy. Her current work focus is on examining workforce transformation in patient-centered medical homes, the roles and responsibilities of community health workers in federal qualified health centers, physicians willingness to accept Medicaid patients by percentage of revenue comes from Medicaid, the use of unlicensed assistive personnel in hospital settings, and the use of telehealth in National Health Services Corps grantee sites. Prior to joining the center, she worked as a research intern in the State Health Access Data Assistance Center, as a research assistant in UMN Rural Health Research Center, and as a policy research intern in TakeAction Minnesota. Xinxin Han holds a MS in Health Services Research, Policy and Administration at the University of Minnesota School of Public Health and a BA in English from Guangxi Medical University, China. Ms. Khattab is a graduate research assistant at The George Washington University (GW) Department of Health Policy and Management within the Milken Institute School of Public Health. In this role, she provides support to the Social Mission Metrics Initiative, as well as the DC Health and Academic Prep Program (DC HAPP), a pipeline program to increase the representation of minorities in health professions. Ms. Khattab is currently pursuing her MPH in Global Health Policy at GW, after having received her BA in Biology, Government, and French from Lawrence University. Leo Quigley is a senior research assistant for Ed Salsberg and currently enrolled on the PhD program in GW’s Trachtenberg School of Public Policy and Public Administration. Leo graduated from Yale’s MPH program in 2012 before joining Maryland’s Department of Health and Human Hygiene as a workforce analyst, mainly focusing on workforce planning for community health workers. Since joining GW, Leo has assisted in several projects including: 1) a GW-led collaborative addressing workforce needs in the Capital Region, 2) a HRSA-funded project on community health workers, and 3) a workforce analysis in nephrology, palliative care, and nursing. With graduate degrees in public management and social work as well as an MPH, Leo as a career track which encompasses both front-line social work and extensive experience as a health and human services administrator in the U.K..